State Board/Commission/Council: Minnesota Iron Range Resources and Rehabilitaton Board (Member: 26 years); 19?? to 20?? He was an unsuccessful candidate for the Minnesota House of Representatives in the 1982 Democratic-Farmer-Labor Party primary election. Dominic Elioff's margin of victory over Tom Rukavina in the primary election was so small that a recount occurred. Dominic Elioff was determined to be the winner. His funeral was held on January 19, 2019 at Holy Spirit Catholic Church in Virginia, Minnesota. "Hundreds Pay Final Respects to Tom Rukavina." WDIO, January 19, 2019. 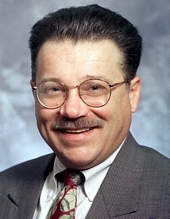 "Thomas 'Tom' Martin Rukavina, 68, Dies." The Ely Echo, January 12, 2019. 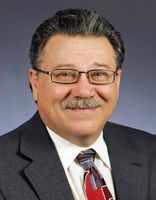 "Rukavina - Legislator, Commissioner, Iron Range Champion - Dies at 68." Labor World, January 9, 2019, p. 1 & 4. 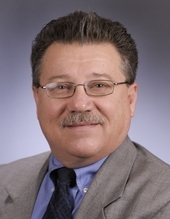 "Former Lawmaker was Iron Range Lion: Rukavina Died Battling Leukemia." Pioneer Press, January 8, 2019, page 2A. Coolican, J. Patrick. 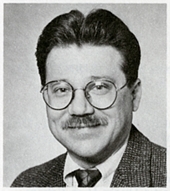 "Tom Rukavina: He was Colorful and Tireless Defender of the Iron Range." Star Tribune, January 8, 2019, pages B1-B2.